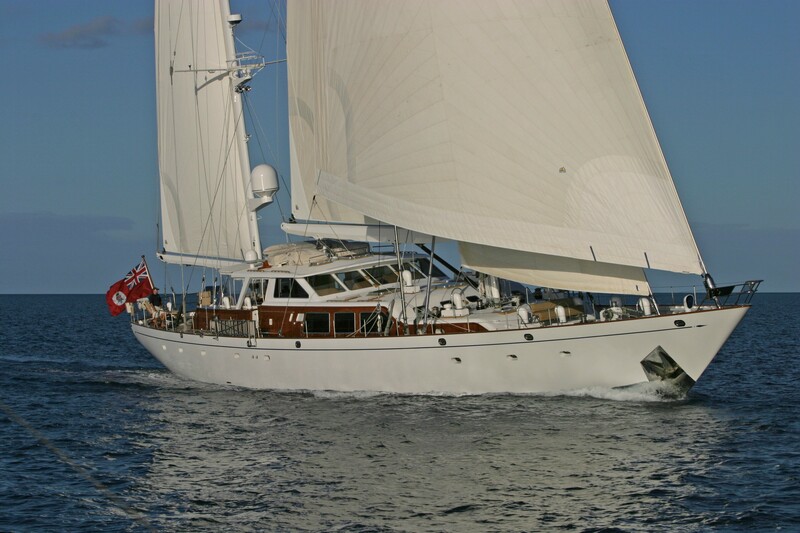 Sailing yacht FREEDOM is a 37.80m (124’) Sparkman and Stephens designed ketch crafted by the well renowned Italian shipyard Picchiotti. 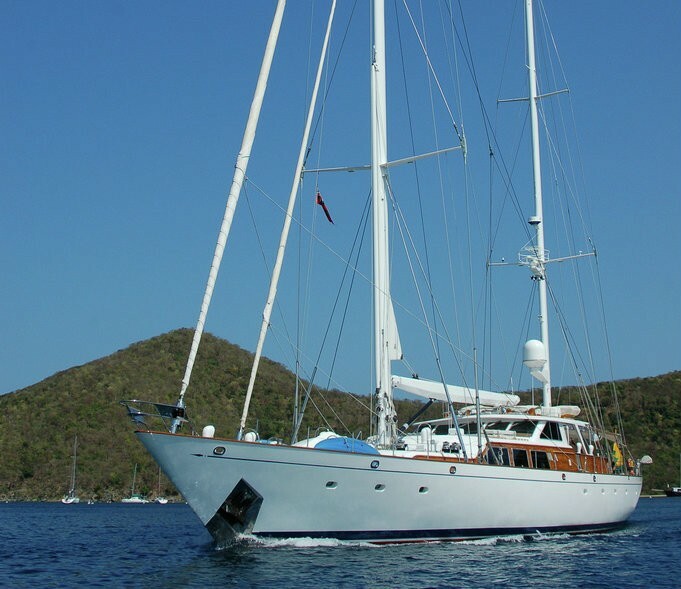 Sailing yacht FREEDOM features elegant lines and immaculate teak decks and is able to accommodate up to 8 guests in 4 cabins. Picchiotti Sailing yacht FREEDOM was originally conceived by and built to ABS class, for the former Treasury Secretary William Simon. 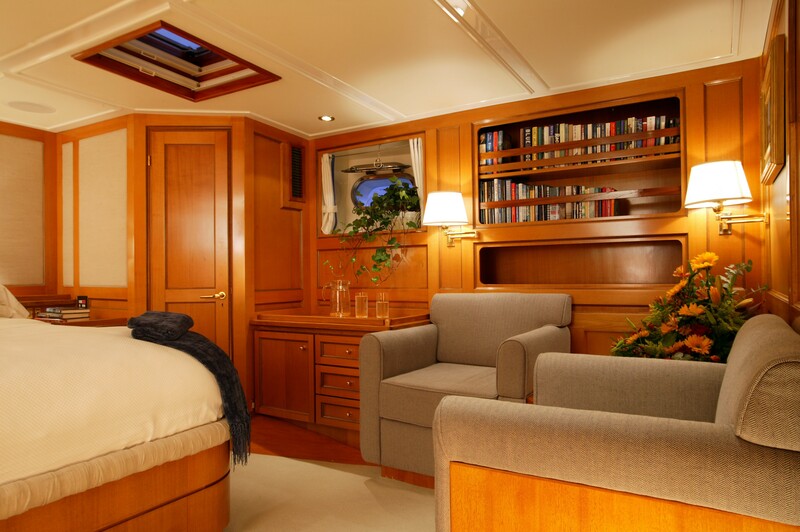 When built, sail yacht FREEDOM set the standard for luxury sailing yachts with a very spacious and distinctive interior configuration. 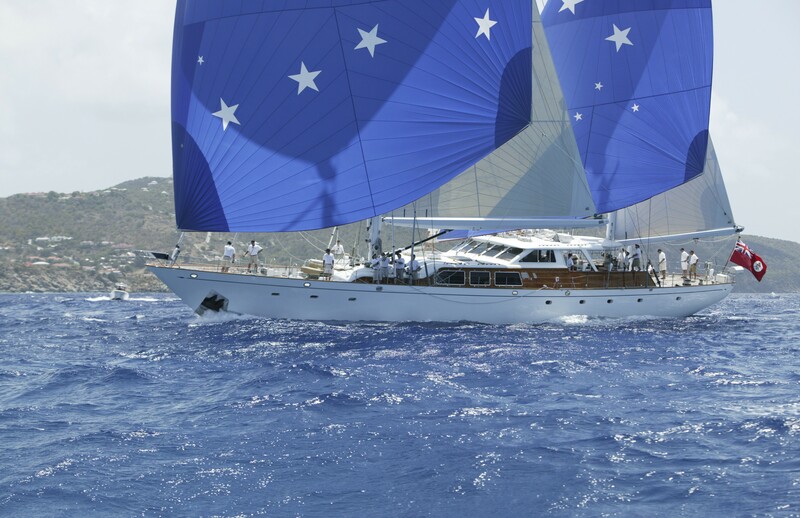 The Sparkman and Stephens Sailing yacht FREEDOM has excelled as a sailboat, having won both the very competitive St. Bart’s and Nantucket Bucket race series while enjoying with strong finishes in other events such as the annual Shipyard Cup. 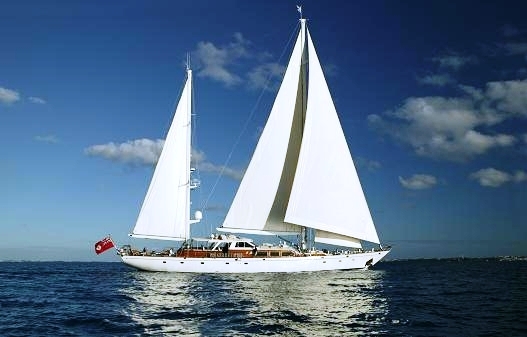 FREEDOM has circumnavigated the globe so she not only offers great performance, but is also reliable and capable. 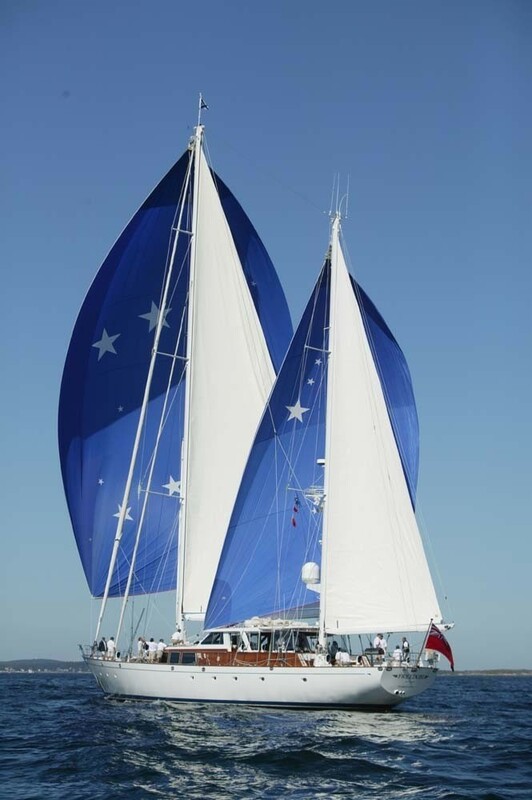 Sailing yacht FREEDOM received a major and extensive refit from June 2003 into January of 2004, which included a full paint job, hull and spars, at the McMullen & Wing Yard in Auckland, NZ. 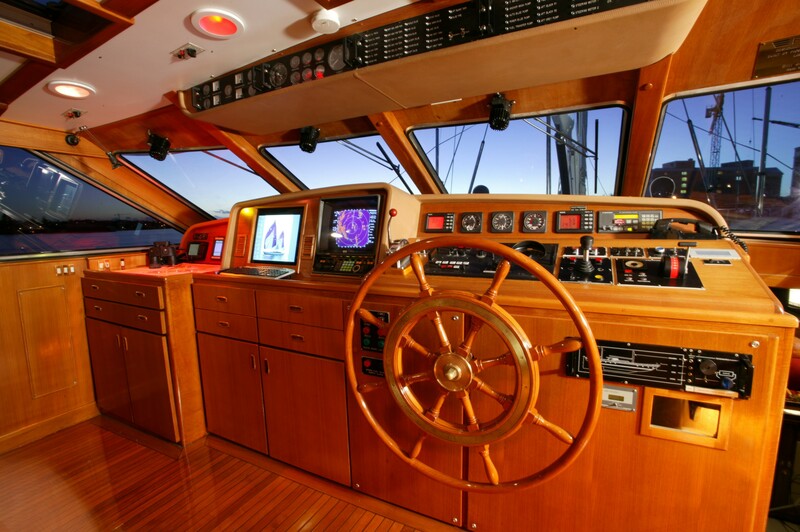 Every electrical, mechanical and operating system was inspected upgraded, repaired or replaced as needed. 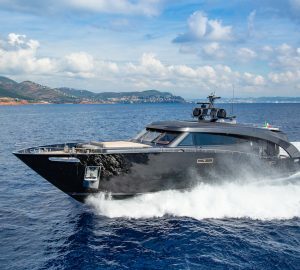 Her Generators were replaced and her drive train from the engine aft was completely renewed with the latest system from Hundestad. 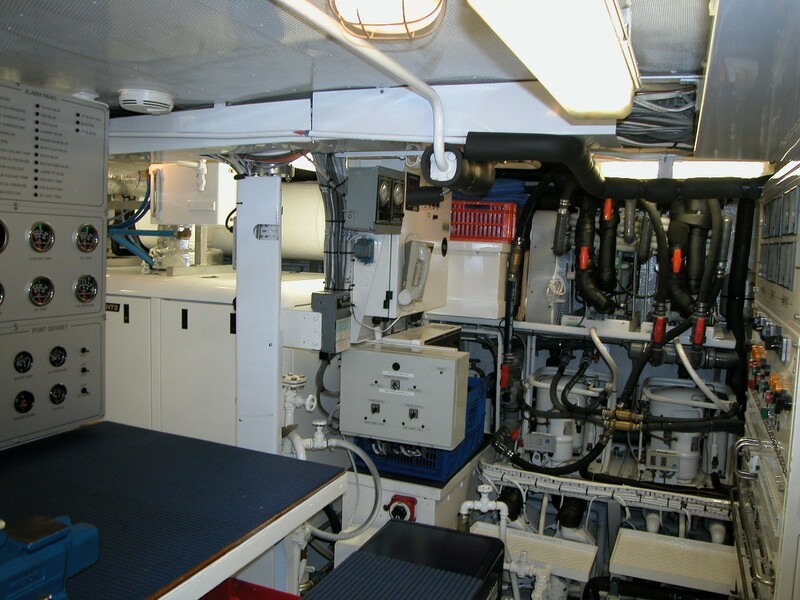 The main engine was removed from the boat for a rebuild and run on a dynamometer before being reinstalled using new LoRez mountings and couplings. 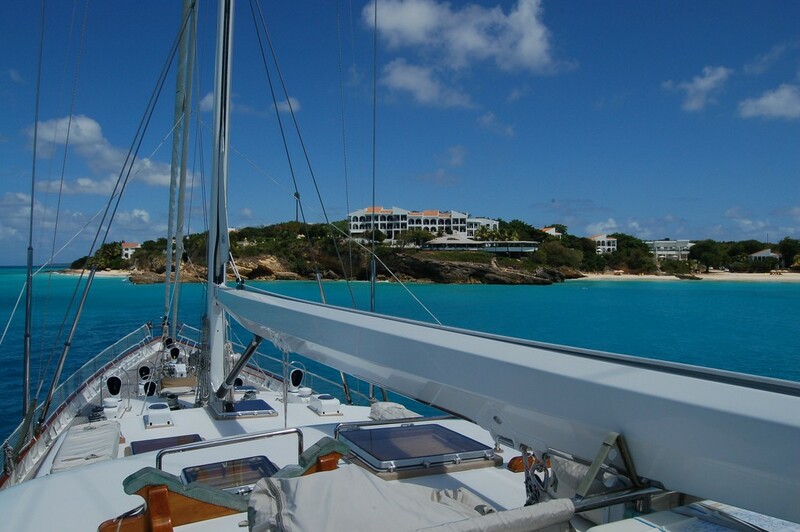 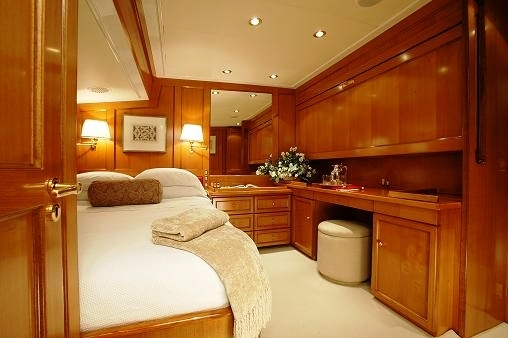 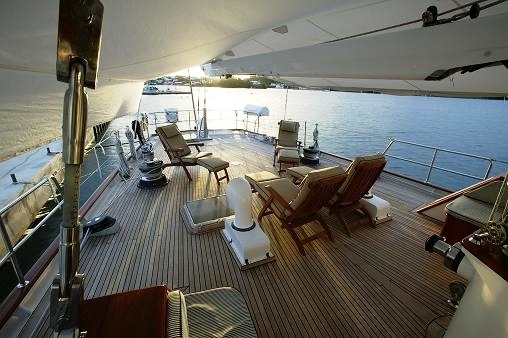 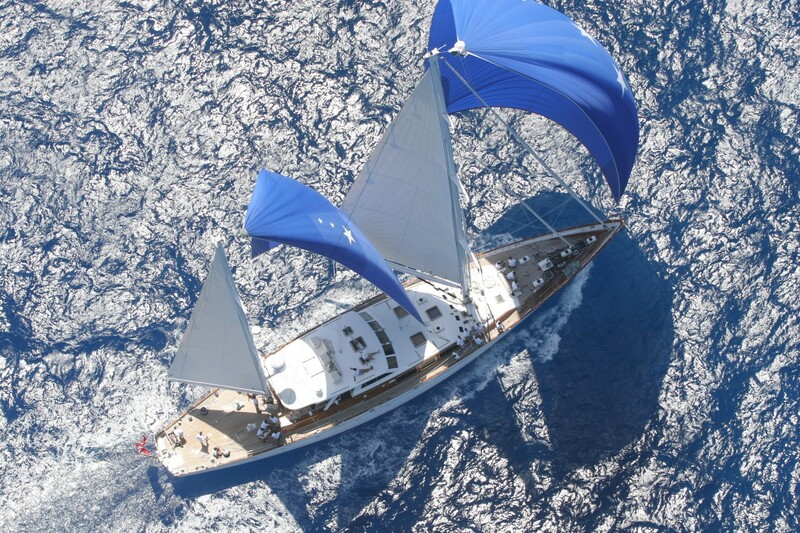 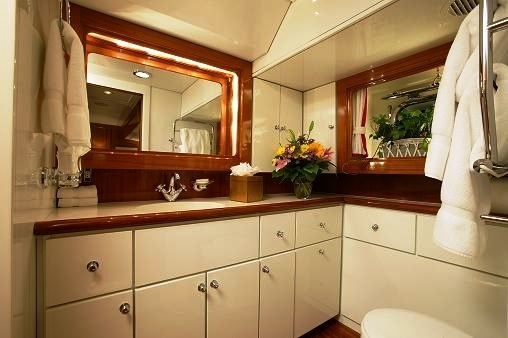 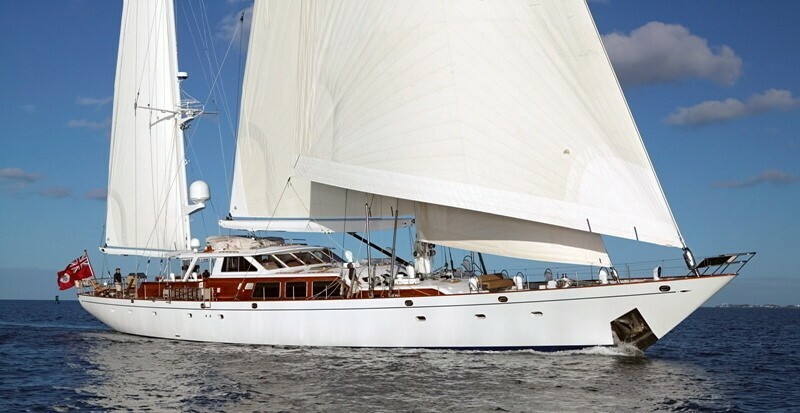 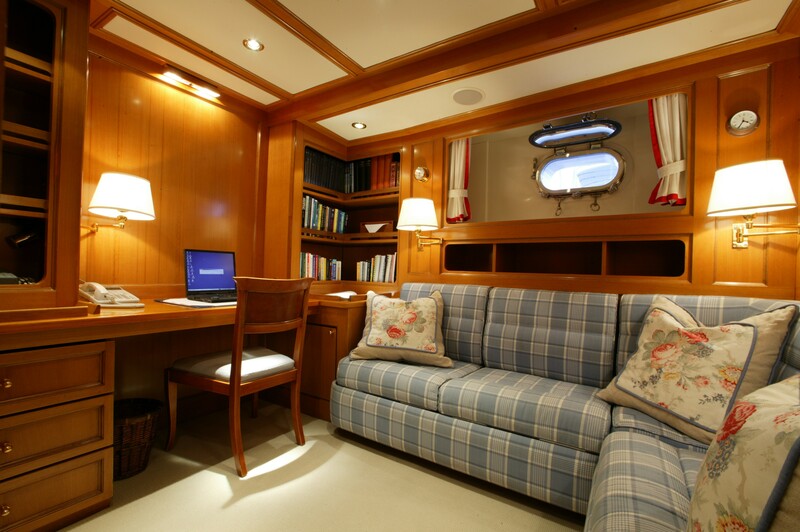 In 2009, sail yacht FREEDOM received another major Refit and 5 Year ABS Survey. 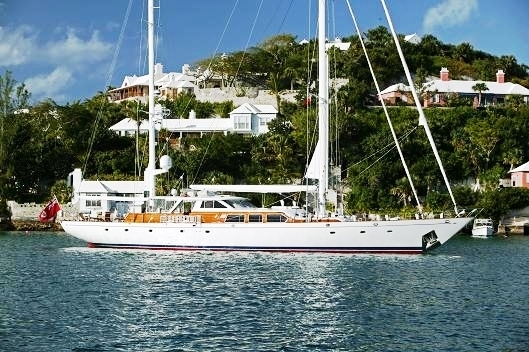 Classic sailing yacht FREEDOM has a dedicated crew of 6. 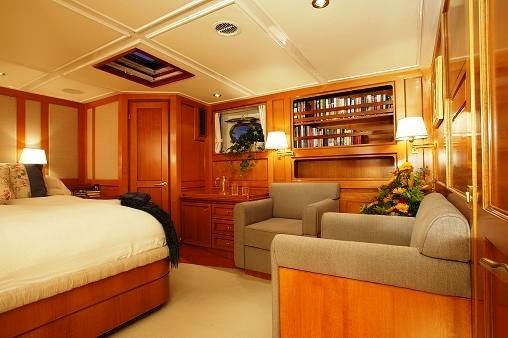 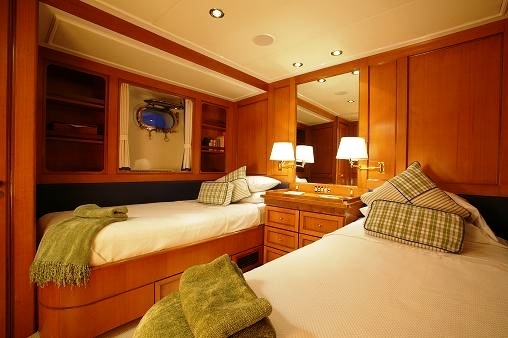 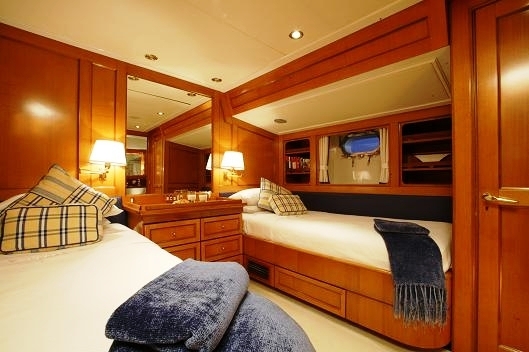 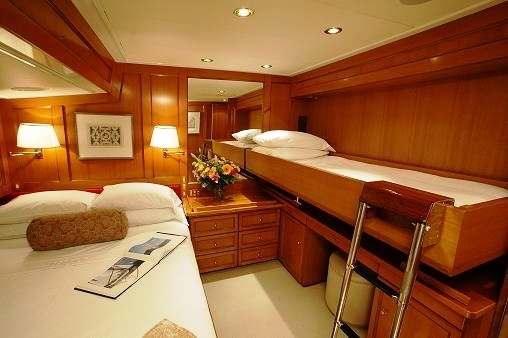 Sailing yacht FREEDOM can sleep up to 8 guests in 4 cabins including 2 doubles and 2 twins. The Master suite is located all the way aft with King bed, ensuite head including tub and separate a shower. 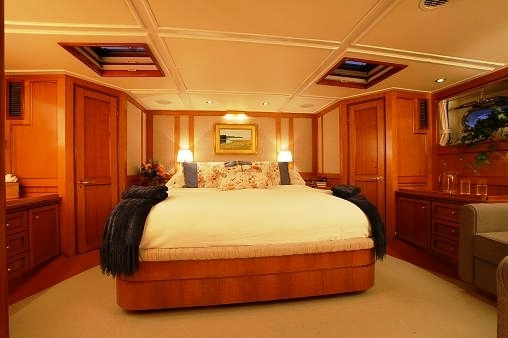 There is an additional pullout settee for child's bed in this cabin if required. 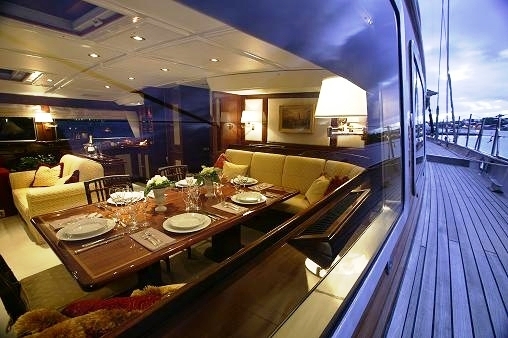 There are two lower Twin berth cabins each with ensuite, and a queen bedded cabin with pullman and ensuite. 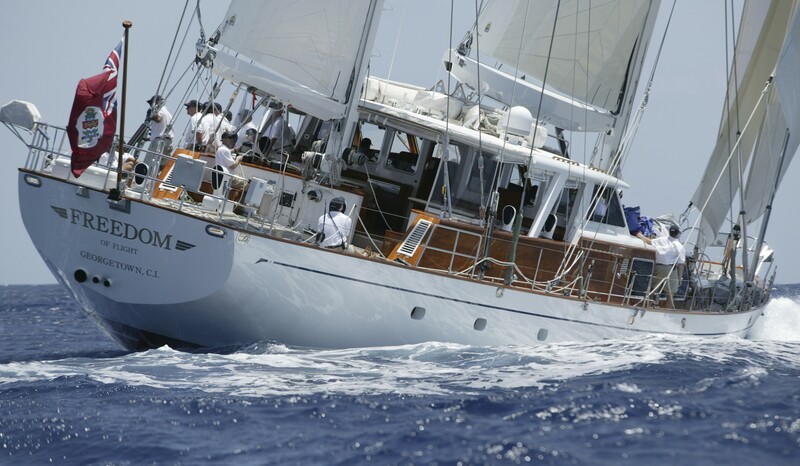 Picchiotti Sailing yacht FREEDOM has the following extras and amenities onboard: Her Tenders and Toys include a brand new tender, 18' Nautica with 115 hp. 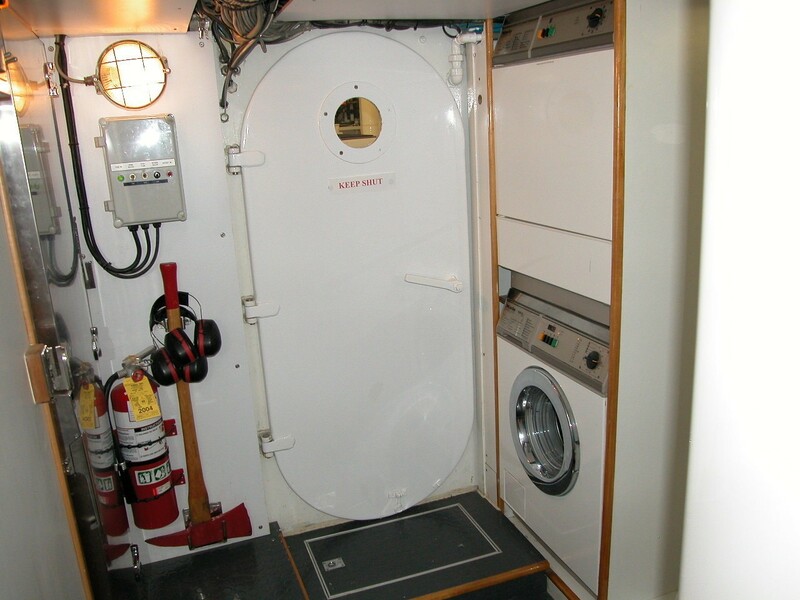 10.5' AB with 15hp, two 2 person kayaks, wake board, water-skis (adult and child), fishing gear, wake board and donuts. 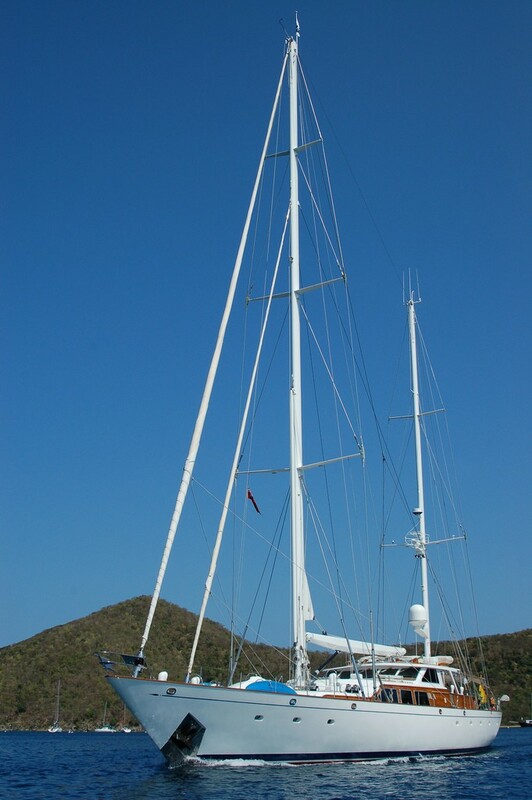 Communications include VSAT, SAT C, GSM/GPRS throughout. 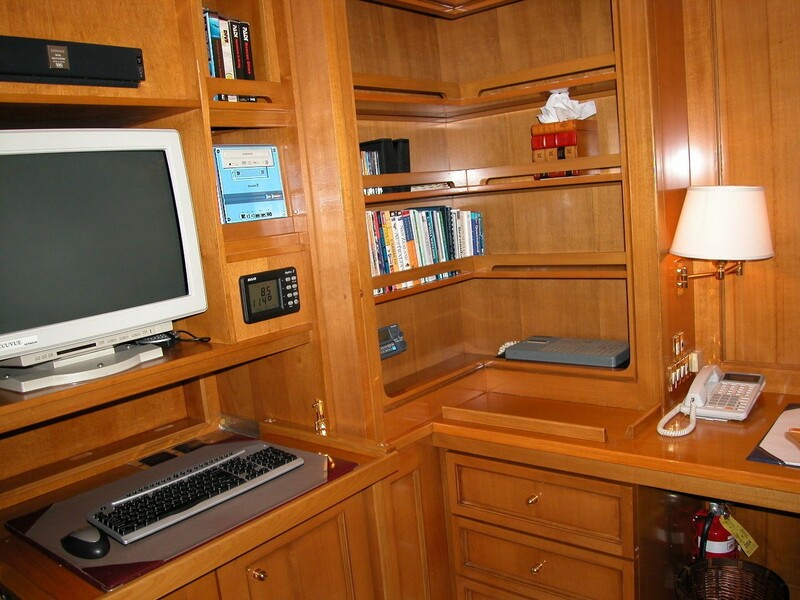 SAT TV (SEA-TEL) Windows XP networked PCs (3). 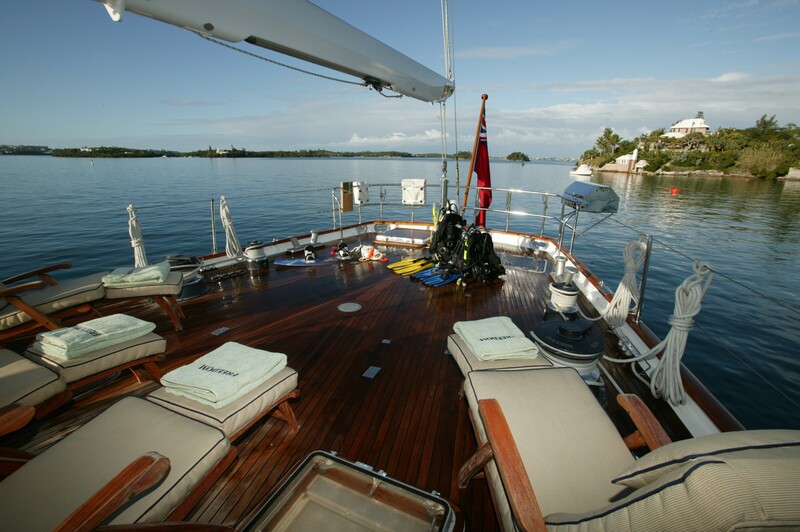 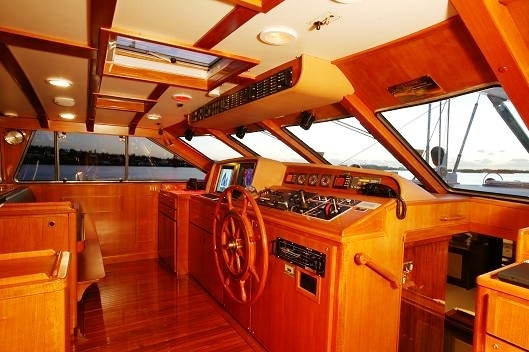 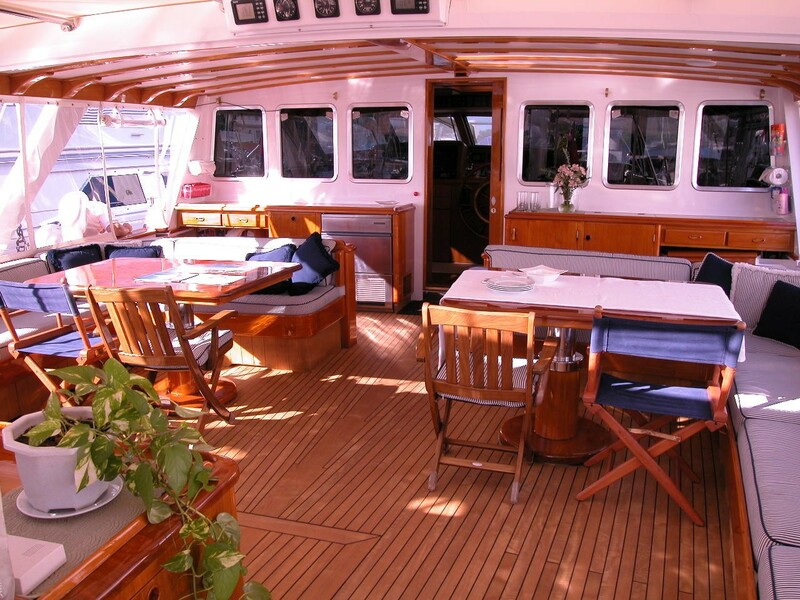 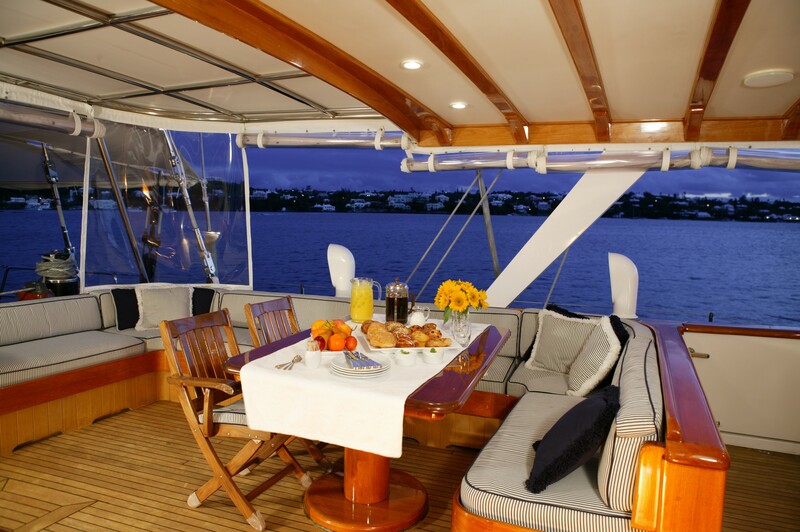 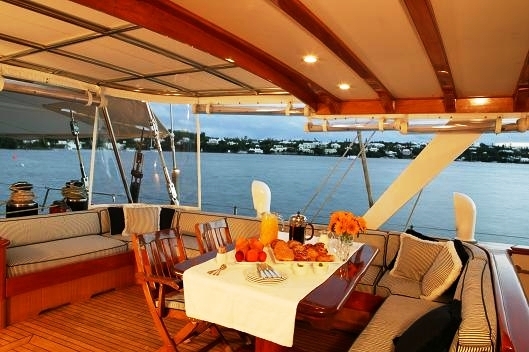 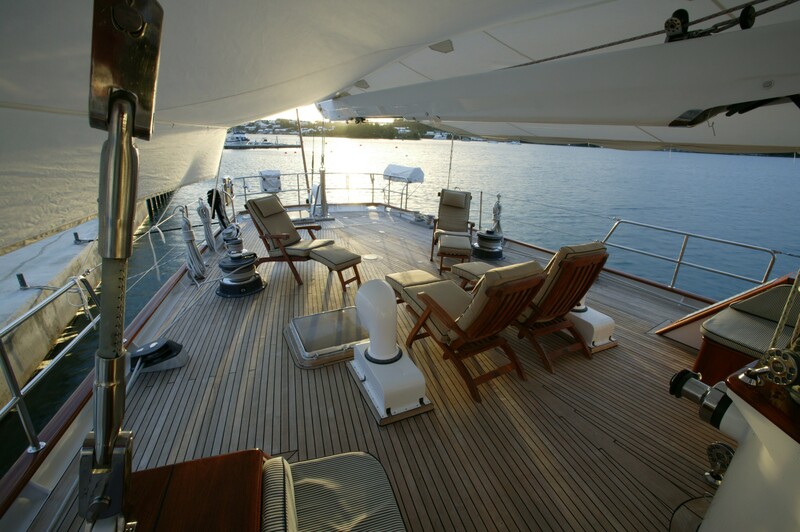 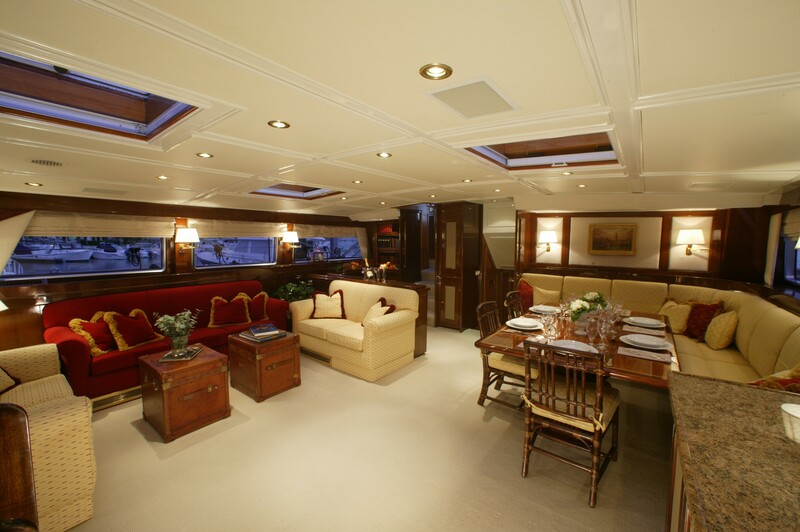 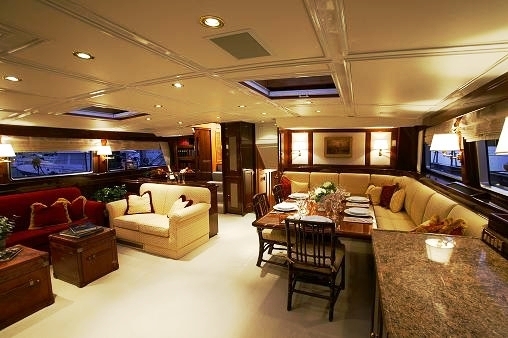 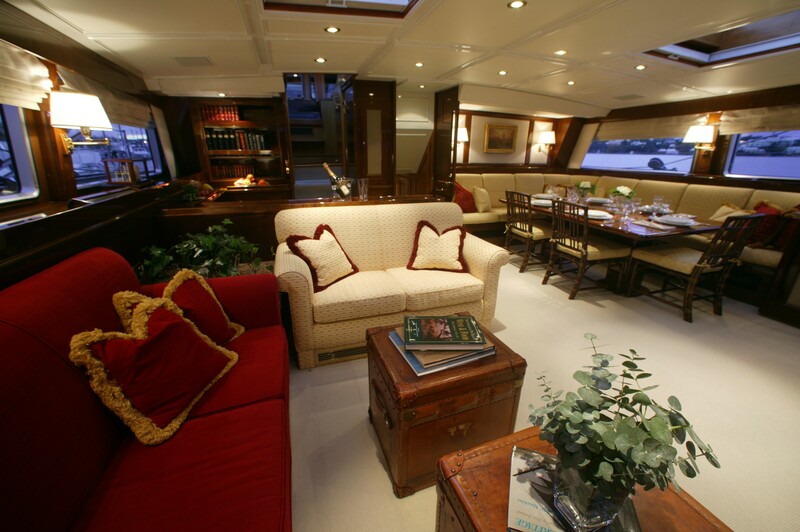 Audio Visual Equipment and Deck Facilities include a Sony TV and entertainment system.